On 9th September 2015, Queen Elizabeth II became Britain's longest reigning monarch, overtaking in length the reign of her great-great-grandmother, Queen Victoria. Although the Queen asked that there should no be no official celebrations, you can't keep a royal celebration down and we know that many of you will be marking the date and will want to recognise its importance in some way. We have produced a few special new activities that we hope will help! Princess Elizabeth became Queen on 6th February 1952 at the age of 25 when her father, George VI, died. She was crowned the following year on 2nd June 1953 in Westminster Abbey. 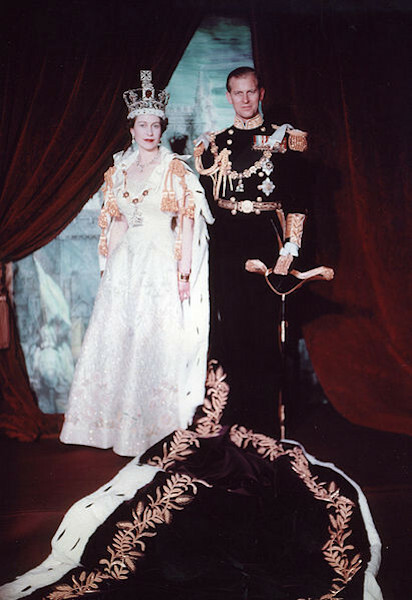 It was the first coronation to be televised and many people scrimped and saved to buy a television set for the event; those that had televisions threw Coronation parties so that their friends and families could watch with them! According to Buckingham Palace, Queen Victoria reigned for 23,226 days, 16 hours and 23 minutes, taking into account 63 years and 15 leap days. According to the Guinness Book of Records, Queen Elizabeth has set a number of "records". She holds the world record for most currencies featuring the same person. Her Diamond Jubilee celebrations in 2012, when over 1,000 boats formed her flotilla on the river Thames, set a new world record for the number of boats in a parade. Our Queen is also the first British monarch to conducted a royal 'walkabout' and hold a public pop concert in her back garden! Celebrate Queen Elizabeth's 63 years on the throne by colouring in this lovely big number 63! This lovely colouring card features "snapshots" of Queen Elizabeth's long reign, and marks her 63rd year too. 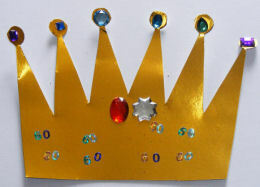 Here's a simple "congratulations" card for younger children on the event of Queen Elizabeth becoming Britain's longest reigning monarch. We produced this lovely "God Save the Queen" colouring page to mark the point in September 2015 when Queen Elizabeth II becomes our longest reigning British monarch - hence the recognition of 63 years in top left! Here's a useful frame for writing or drawing about Queen Elizabeth II and the fact that on 9th September 2015 she will become our longest reigning monarch. Use this pretty frame to surround your writing activities (or a picture) celebrating Queen Elizabeth's long reign, and the fact that she becomes our longest reigning monarch on 9th September 2015. There are three versions to choose from below. Colour in the picture, which features snapshots from Queen Elizabeth's reign, and write using the lines below. In September 2015 the Queen will become our longest reigning monarch. This story paper might inspire the kids to write about Queen Elizabeth - about to become our longest reigning monarch in the 63rd year of her reign. This story paper features picturex of Queen Victoria and Queen Elizabeth II for the kids to colour in, as well as space to write about the fact that on 9th September 2015 the Queen will become our longest reigning monarch.